Travels away from home base in NW Arkansas. 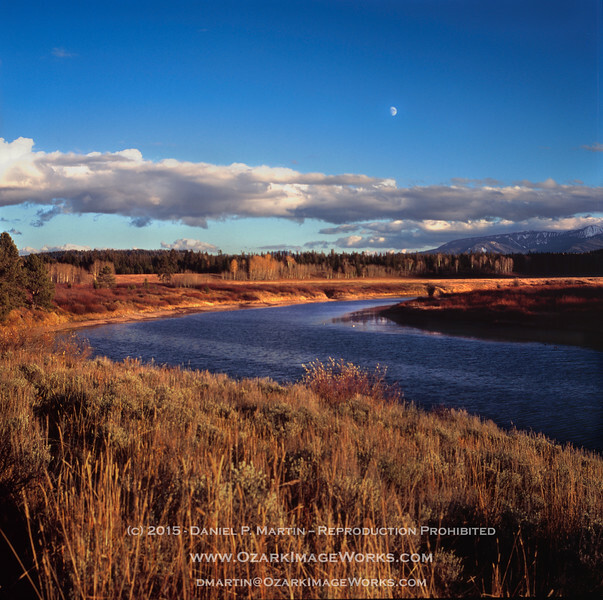 Oxbow Bend, Grand Teton National Park - Moonrise with sunset lighting. The Oxbow Bend area of the Snake River in Grand Teton, along US 89 / 191 (the John D. Rockefeller Parkway). This is the highway from Jackson, WY through Grand Teton and onward into Yellowstone. If you've never been there, put this trip on your "bucket list". Technical details: Original image on Fuji Velvia ISO 50, Hasselblad 6x6; digitized from original transparency at 2400 dpi.